Climate Change event at Library tomorrow at 6pm. 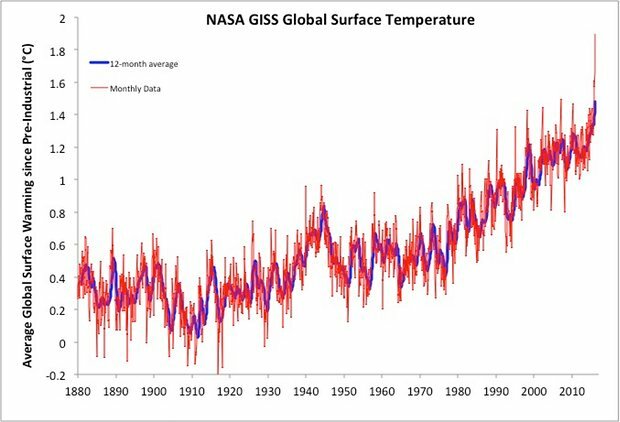 February 2016 was likely the hottest month in thousands of years. You can see February’s temp at the far right!..very discomforting to say the least…. We all need to do our part to address this issues. In the coming weeks, we will be posting on concrete actions everyone can take to reduce their personal carbon footprint. We hope you will join us. First, we can get educated. There will be an informational presentation at the Escondido Library at 6 pm tomorrow, March 22. Please come and learn now we can act to reduce the catastrophic results of the path we are on. 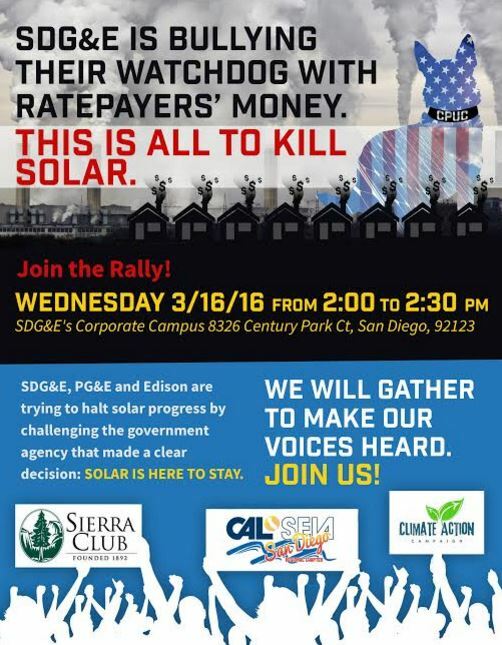 Please see Action Alert from Sullivan Solar! Sullivan and Sierra Club’s Alejandro Montes. 2.0), which was a compromise for both solar and the utilities. corporate office (8326 Century Park Ct, San Diego, 92123). grandfathered into the current agreement. Any questions about the event? Email Tara Kelly at tara.kelly@sullivansolarpower.com. The Department of Toxic Substances Control (DTSC) is the oversight agency for the Chatham Barrel Yard cleanup. They have posted the most recent documents about the site for public review. You can get them on the ENVIROSTOR website or at this link October2015 regular water monitoring report . This report includes the regular analysis and monitoring results for the most recent round of sampling. We will be reviewing it and will share our thoughts in the future. Also, of major importance is the Feasibility Study for Felicita Creek discharges. This study evaluates options for stopping or reducing the discharges of pollutants from Chatham into Felicita Creek. This is a high priority for Escondido Neighbors United and we encourage everyone to take a look and weigh in on this. Thanks to DTSC for making these documents available to us. Hope you all well and ready for Spring!